Nori is a versatile dining table with modern design. The table offers enough space for comfortable evenings with friends and relatives as a fixed or extendable version and in a wide variety of colours. 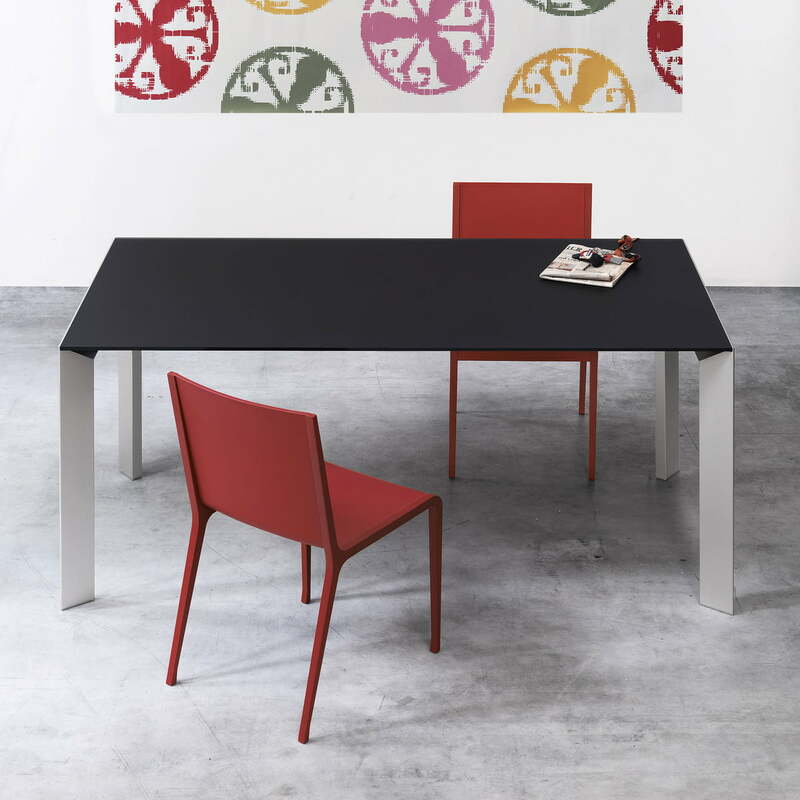 The functional dining table Nori convinces with a reduced design that can be enlarged to different lengths. The table top can easily be extended with several boards that are stored inside of the table. 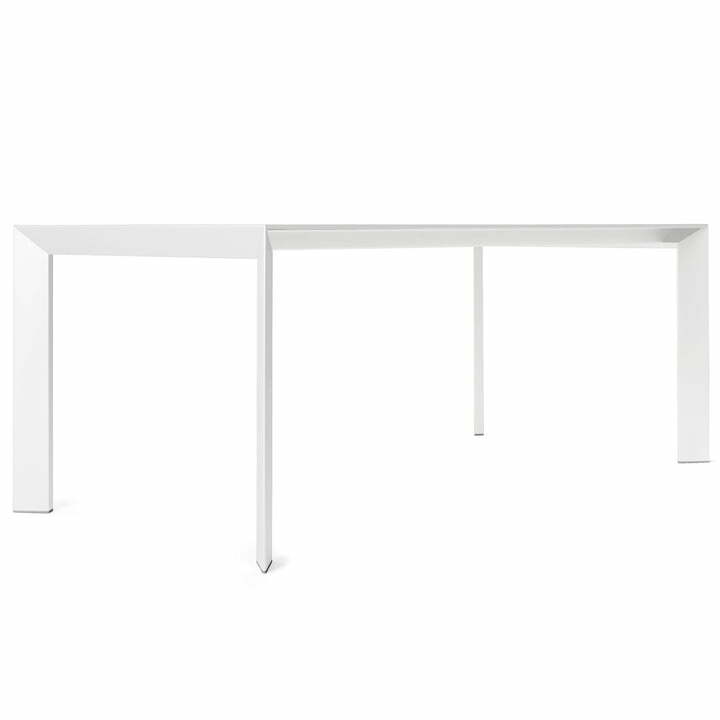 This is how the dining table with a length of 166 cm can be enlarged to a maximum length of 278 cm. Perfectly adapted to the next birthday or Christmas dinner with the family. 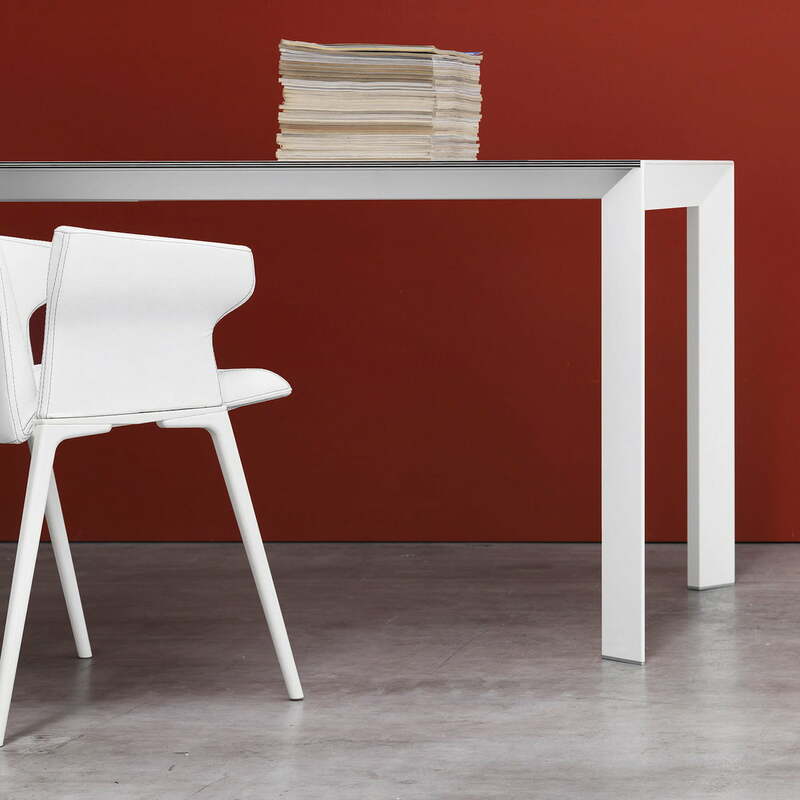 The distinctive legs of the table made of anodized or lacquered aluminium port the thin and very resistant laminated table top, which is available in black and white and several timeless colours. The legs of the table can individually be chosen with adapted colours or in an aluminium look. Nori is a versatile table model of the Italian design group Bartoli: "The table developed by us wasn’t only made for private homes, but looks gorgeous as well in public spaces because of the formal elegance and the minimalistic appearance." Nori looks great in homes and offices, since it is available in different sizes, colours and made of different materials. Nori is an extendable dining table by the Italian manufacturer Kristalia, which can easily be enlarged with several sheets. See it for yourself in this video. Single image of the extendable Nori table in pure white with matching white lacquered aluminium legs. An elegant and functional table for private and public spaces. 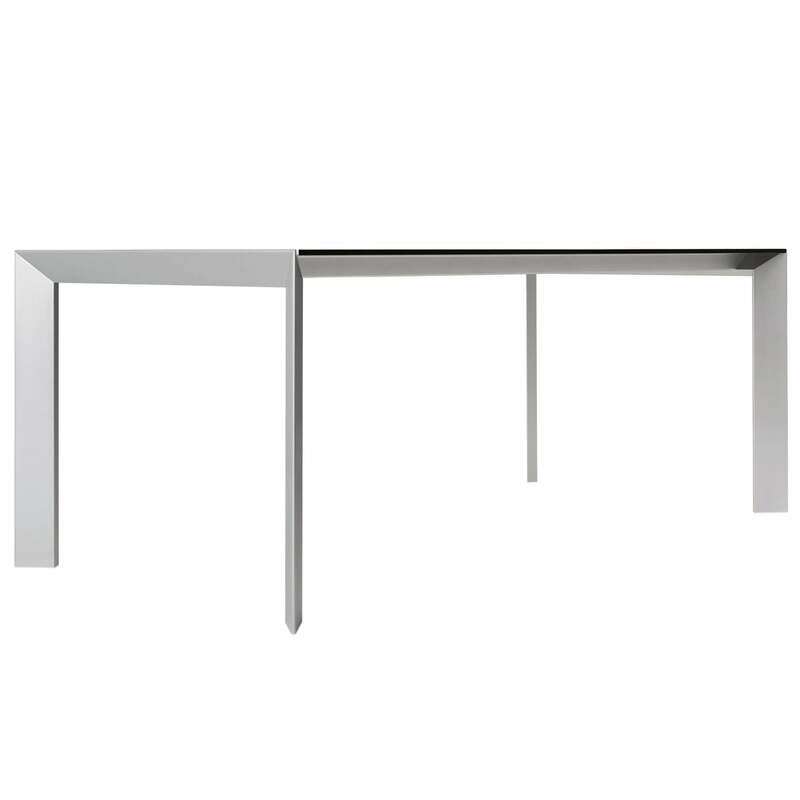 Individual image of the extendable Nori table in grey with matching aluminium legs by the company Kristalia. An elegant and functional table for private and public spaces. 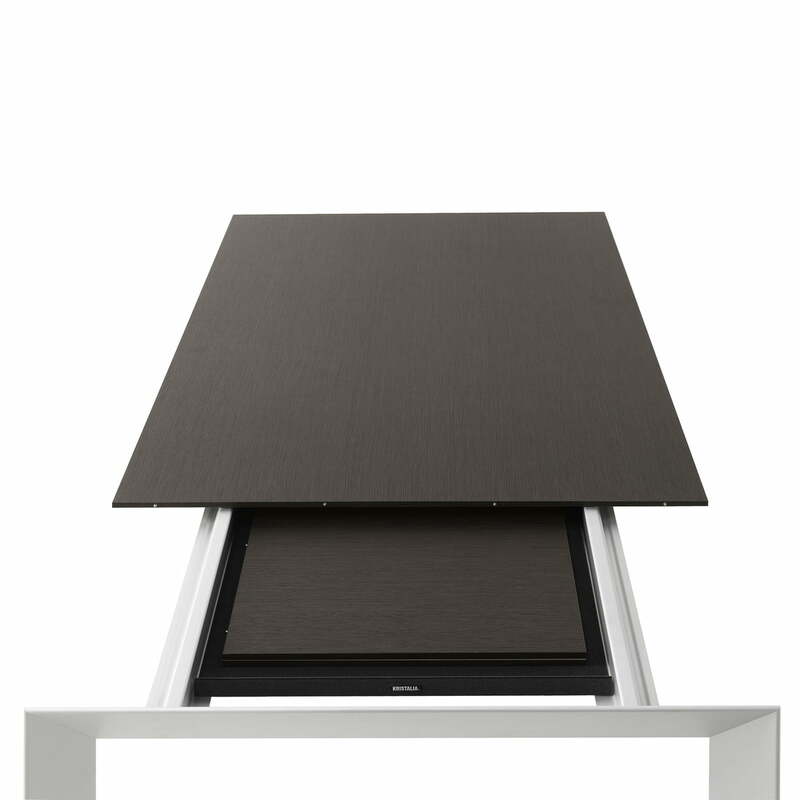 The extension plate of the Nori table can be stowed away easily inside of it and extended again if necessary. A functional and elegant solution, which extends the table in an instant. The Nori dining table by the manufacturer Kristalia is a timeless design that is available with table tops in different colours and can be combined individually. The Nori table from head to toe in white. The Kristalia table can be combined with colourful accents like flowers or chairs when it is timeless and restrained. 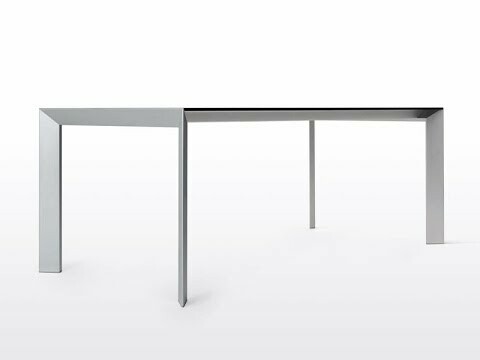 The linear, geometric design of the legs and the thin top, are the reasons why the Nori table is particularly compatible with all the possible places. This is how it can easily be combined with a wide range of chairs.